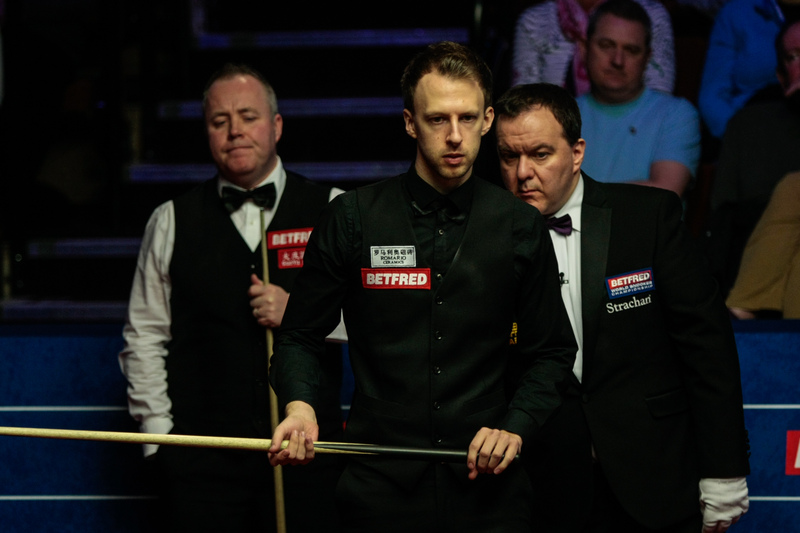 Meanwhile, John Higgins and Judd Trump look set for a blockbuster conclusion to their quarter-final battle as they finished the second session tied at 8-8. They resume at 7pm with first to 13 frames to go through to the semis. Trump led 5-3 overnight and took the first frame this morning with a break of 89. 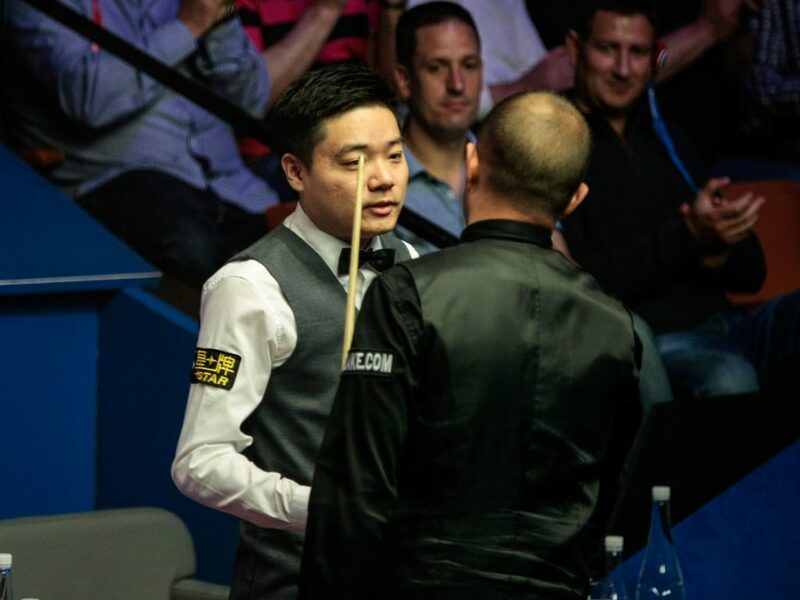 In the next he made a brilliant 64 clearance to force a respotted black, and potted it after Higgins had missed a good chance to a baulk corner. Trailing 7-3, Higgins needed to draw on memories of the 2011 final when he came from 12-9 down to beat Trump 18-15, and he did just that, winning five frames in a row. 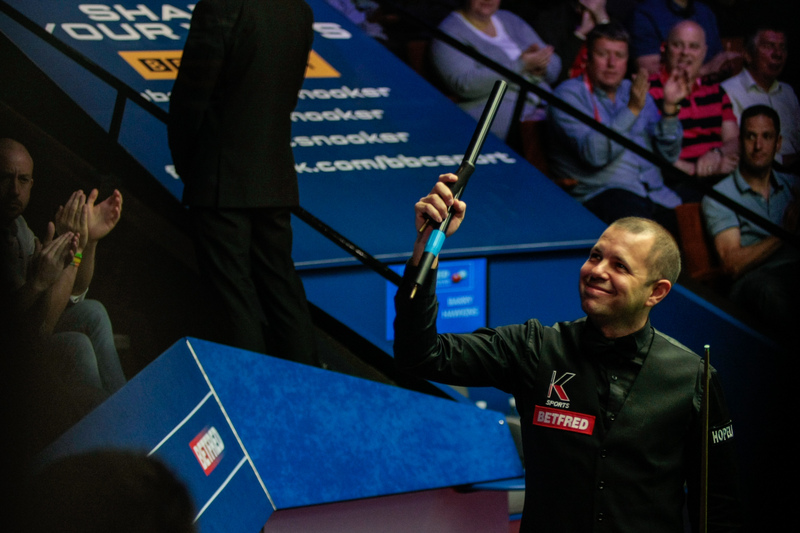 Breaks of 65, 61, 53 and 56 got Higgins back to 7-6, then he won a dramatic 14th frame by fluking the final green and adding brown, blue and pink. Four-time Crucible king Higgins took the lead for the first time in the match by winning frame 15 with a break of 51. And he had chances in the last of the session, but Trump eventually took it to leave them all square.